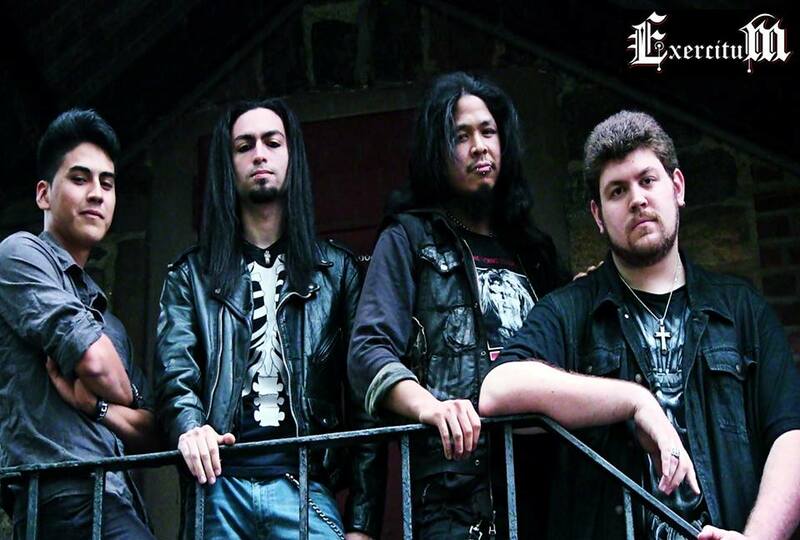 From the slow creep of “Eternal Nightmare”, it is easy to dismiss Exercitum as the kind of band that follows in the shadows of metal giants like Slayer. Listeners will find the same emphasis on grotesque horror, the same subliminal play, the same cerebral assault that either sounds jarring or inviting. To think of this debut album as a 21st century Seasons in the Abyss, however, is to ignore the incredible versatility of the musicians who made it—and after playing at Gramercy Theatre, these guys know a thing or two about how to change up a set. Tracks like “Metal and Lace” deliver equally on machismo and loud, pulsing guitars, while “War Cry” kicks the proverbial doors of the hard rock and metal scene off their hinges. War, as a theme, reverberates throughout the album, both in political and confessional ways. “Take Me Home” most prominently brings the latter to the surface, with its echoes of loss (“a place I can no longer find”) and brutal honesty (“I can’t erase my past”).“Save Me From Myself”, perhaps, is the biggest triumph here, synthesizing the loud, aggressive guitars in the beginning with more meditative side of “Take Me Home”. If it is any indicator of where Exercitum is going, then they are going to not only achieve a cult following in the metal scene—they will own the whole damn thing.